Sharks are mysterious creatures. Even the origins of the word "shark" are unknown (though it might come from the Mayan word xok). Maybe that's what makes these 400 million year old denizens of the deep so captivating—and why they sometimes fill us with dread. Thanks to that general air of mystery, many myths and untruths about sharks have spread. Here are six for you to sink your jaws into. Negative public perception of sharks has proliferated their image as man-eaters since before Steven Spielberg’s summer blockbuster classic Jaws made you afraid to go into the water. But technically speaking, sharks don't seek out humans for food. When an attack does occur, it's most likely that the territorially-minded shark has mistaken the human for its actual prey (a seal, for example). In fact, most of the time, shark bites are actually “exploratory bites” in which a curious shark tries to determine if what it's biting is food. But despite the relatively slim chance of being attacked by a shark, there are some exceptions. Of the hundreds of known species of sharks, only about a dozen are considered dangerous—including the great white, tiger shark, and bull shark—and are responsible for the most human attacks. The United States has the most recorded attacks, according to the International Shark Attack File; 1,022 total have been recorded between 1670 and 2012. Though Australia is second in total attacks, it has the most reported fatalities (144 as of 2012). 2. Sharks may not hunt and eat humans, but they're all vicious predators. There are over 400 different species, so there's no such thing as a typical shark. Yet popular opinion tends to veer towards the great white or the hammerhead out of sheer fascination and fear, thus propagating the myth that all sharks are dangerous and bloodthirsty hunters. While those species—and others such as the blue shark or the mako shark—are apex predators that reside on the top of the food chain, there are plenty of other species of sharks that go against the misconception that all sharks are predatory. Take the dwarf lanternshark, for instance. This little guy, found off the coast of Venezuela and Columbia, is possibly the smallest shark in the world and can fit in the palm of your hand, reaching a maximum length of 21 centimeters. It’s so little of a threat, in fact, that even fishermen discard them if caught because they’re too small. 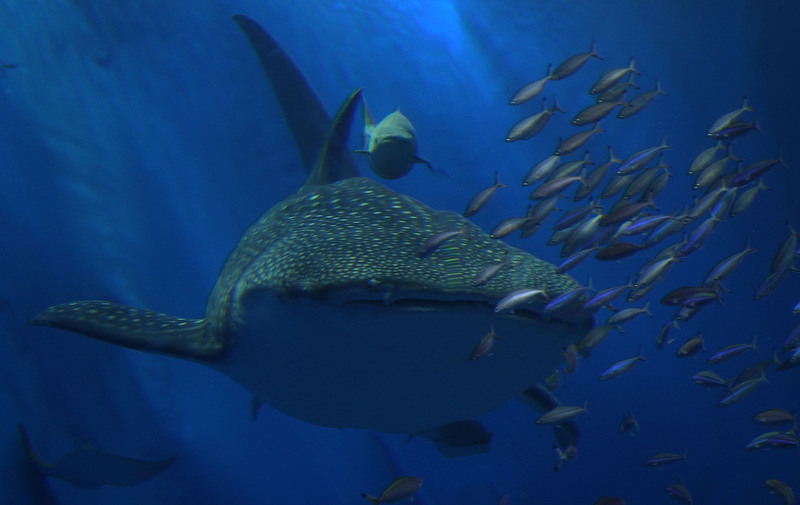 On the opposite end of the spectrum, the whale shark (above)—the largest fish and shark of them all—reaches lengths up to 40 feet or more, and is a migratory filter feeder whose diet consists of mostly plankton. Though they are still carnivores, these swimming school bus-sized behemoths are so low key that they sometimes allow swimmers to hitch a ride on their dorsal fins. 3. If a shark stops moving, it will die. Most sharks don't have to constantly swim to breathe or to stay alive. The majority of species use a process called “buccal pumping,” named after the cheek muscles they use to physically filter water into their mouths and over their gills, and can alternate periods of activity and rest. But about two dozen species—including the great white, the whale shark, and the mako shark—are known as “obligate ram ventilators,” meaning it is mostly essential for them to keep moving to stay alive. Instead of breathing via buccal pumping, obligate ram ventilators pass water through their opened mouths and over the gills while in constant swimming motion so as not to asphyxiate. It's actually easier for these particular species of sharks to keep moving than to stay still, but it is possible for them to catch a break every once in awhile to rest up for a moment before swimming off again. 4. 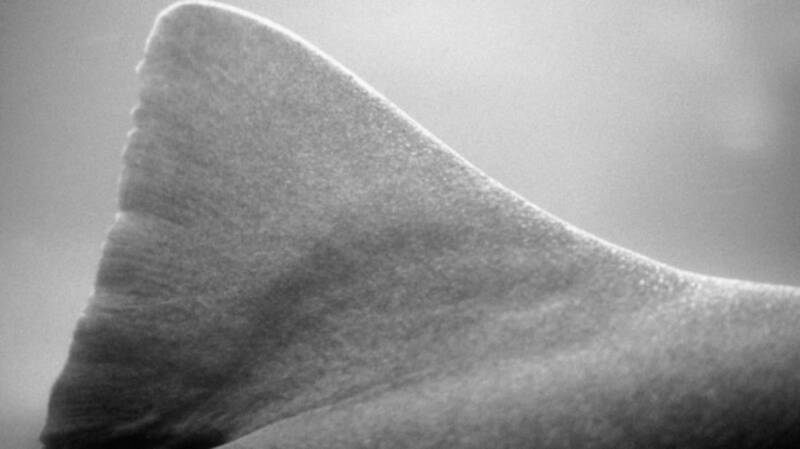 Sharks have endless rows of teeth. Sharks don't come out of the womb outfitted with endless rows of teeth. Technically, the serrated and pointy pearly whites just regenerate as needed. A human tooth rests in a socket and falls out once during adolescence. But a shark’s teeth are attached by soft tissue to the skin covering the jaw, and easily fall out if they wear out or break. 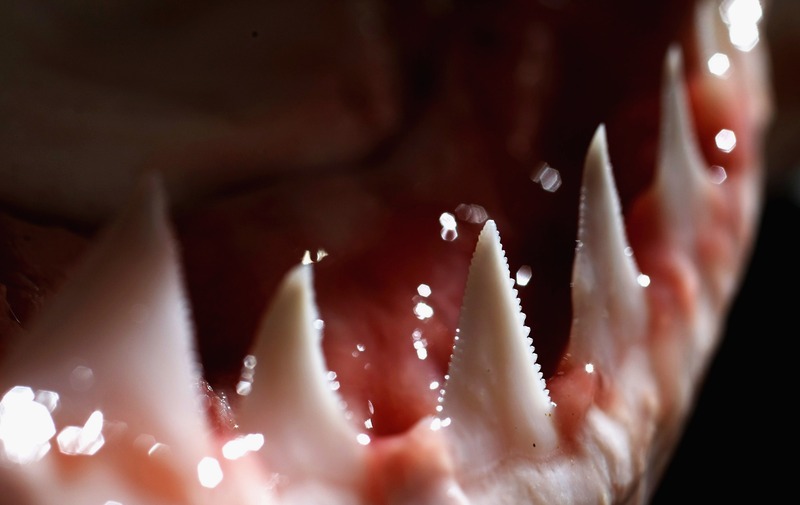 The teeth in a shark’s mouth are arranged in progressive rows, and should a tooth fall out, the next one behind it moves up to take its spot, like a rotating dental Rolodex. Some sharks can produce up to eight rows of teeth at once, and it takes a shark as little as 24 hours to produce a replacement tooth. With an average lifespan of 20 to 30 years, a shark can use thousands of teeth over its lifetime. Take the spiny dogfish shark, which holds the record for the longest lifespan at 100 years, and we’re looking at quite a lot of teeth! 5. A shark is just a dumb animal with a brain the size of a walnut. Maybe it’s because of species like the tiger shark—which might seem dumb because they’re like swimming vacuums, eating almost anything in their paths—that this myth has spread far and wide. But the truth is, a shark’s brain is a complex organ belonging to a large and sophisticated animal. A full-grown great white shark brain measures about 2 feet long and is a linear Y-shaped string of millions of neurons that arranges its functions into hind-, mid-, and fore-brain groups (as opposed to a human brain, which is folded into a compact, circular cluster). Almost two-thirds of the shark’s brain is devoted to its olfactory organs, highlighting how important it is for a shark to have an acute sense of smell. It’s so huge because certain olfactory stimuli—such as being able to identify prey, recognize aquatic territorial markers, or to find potential mates—are of the utmost importance for the shark’s essential wellbeing. Any way you look at it, sharks are intelligent creatures that are astutely aware of their environment—so intelligent, in fact, they can even be trained! 6. Sharks don't get cancer. You’ve heard of disingenuous snake-oil salesman, right? Well how about the shark cartilage salesman? Certain alternative health and nutrition stores sell shark cartilage as a means to ward off cancerous diseases based on the anecdotal evidence that sharks don’t get cancer. There are even books that promise a cure. But it's a myth—you can read a little about how it got started here. The truth is that there are hundreds of cases of benign and cancerous tumors in sharks that have been reported in science and medical journals. Researchers, including John C. Harshbarger and Gary Ostrander, also proved the myth false by providing evidence of a shark’s ability to get cancer in a presentation of 40 separate cases of cancerous tumors in sharks at the American Association of Cancer Research in June 2000. This myth isn't just dangerous to people suffering from cancer—because guess what? Shark cartilage doesn't cure cancer—but to sharks, too: It's led to a multi-million dollar industry and decimated shark populations. "North American populations of sharks have decreased by up to 80 percent in the past decade, as cartilage companies harvest up to 200,000 sharks every month in US waters to create their products," writes Christie Wilcox in a 2011 Scientific American post. The bottom line? Sharks do get cancer. Anyone who says otherwise is uninformed—or selling something.